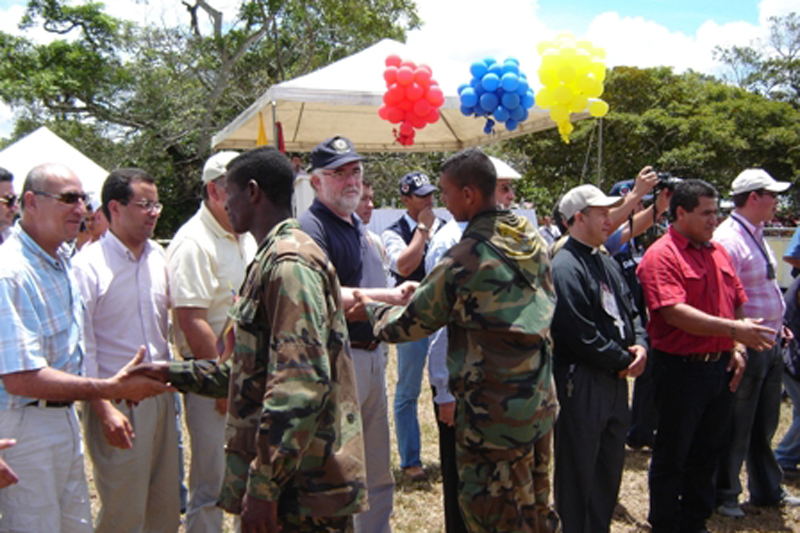 The Colombian Government’s efforts to find peace through mediation with humanitarian goals and civil society initiatives have been compiled and published in The Peace Library or La Biblioteca de la Paz, a nine-volume series which follows presidential periods from 1982 until 2012, and the peace initiatives carried out by each president. 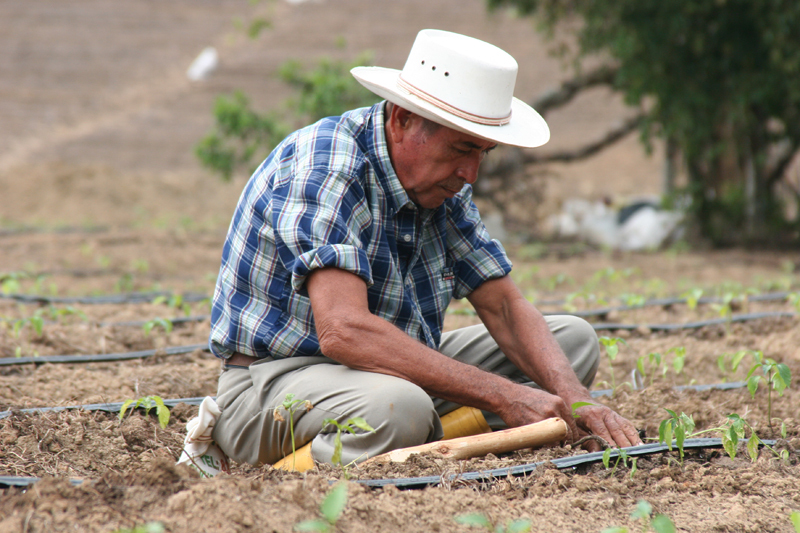 The work was edited by the Democratic Culture Foundation (Fucude by its Spanish acronym), with support from IOM and the United States Agency for International Development (USAID). “It is indeed a fortunate coincidence that the books are being launched when there is a new peace process underway between the Government of President Juan Manuel Santos and the Revolutionary Armed Forces of Colombia (FARC), in addition to the increasing likelihood of negotiations with the National Liberation Army (ELN). These books reiterate the invitation to civil society institutions and the international community to study, discuss and take advantage of the lessons that the volumes highlight to help find peace based on democracy and equality in Colombia,” said Álvaro Villarraga, Director of Fucude. 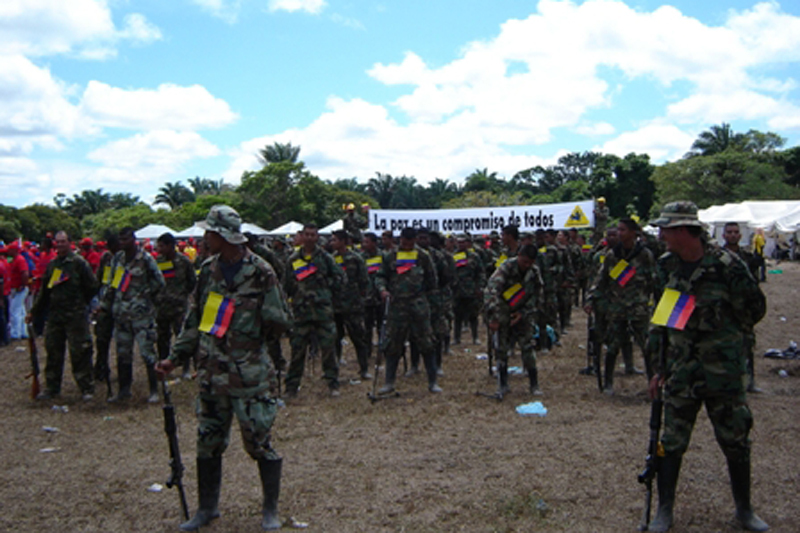 Colombia is still experiencing one of the oldest internal armed conflicts in the world – the longest in Latin America – whose principal armed actors are the communist guerrilla groups FARC and the ELN, both created some 50 years ago. 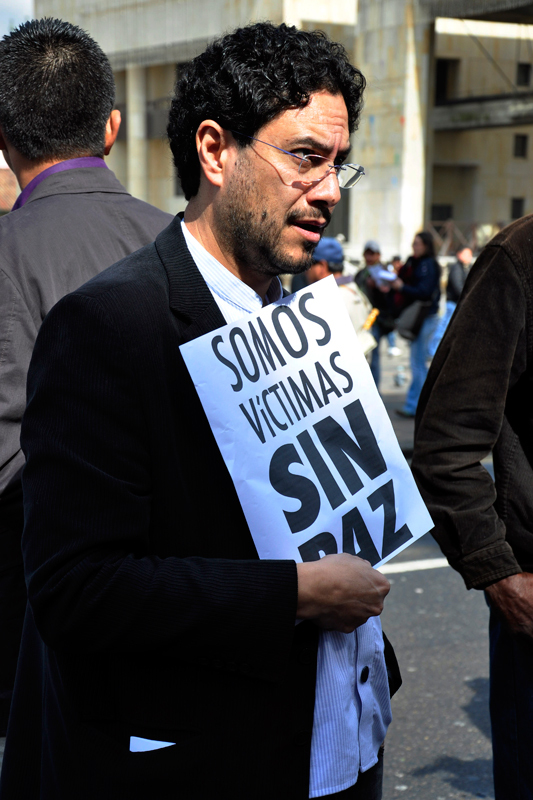 According to a report by Colombia’s National Center for Historic Memory, the conflict has caused 220,000 deaths where 180,000 of the victims were civilians; more than 25,000 disappearances; more than 27,000 kidnappings; more than 23,000 selective assassinations; almost 2,000 massacres; an estimated 5,000 children recruited into illegal armed groups; and almost 900 take-overs and destructions of towns. 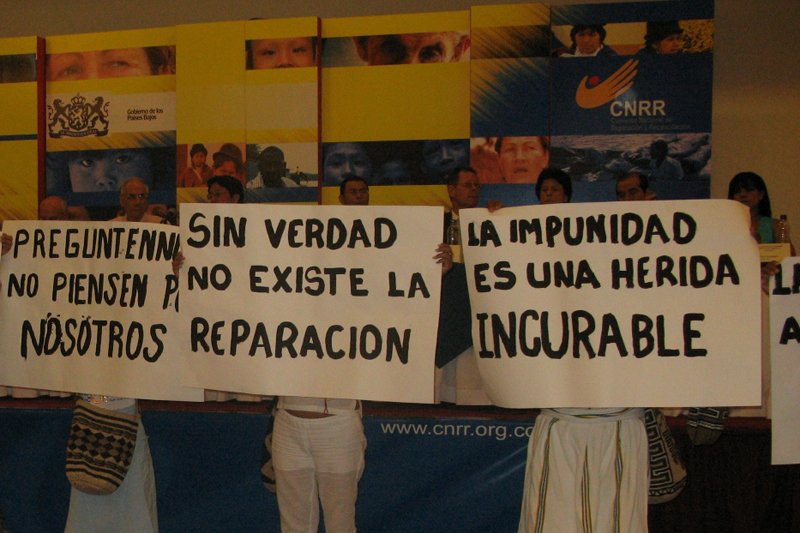 On August 26, 2012, the Colombian Government and the FARC signed the General Agreement for the End of the Conflict and the Building of Stable and Durable Peace, which resulted in the creation of a negotiating table in Havana, Cuba, with the participation of Cuba and Norway as guarantors, as well as Venezuela and Chile as facilitators. 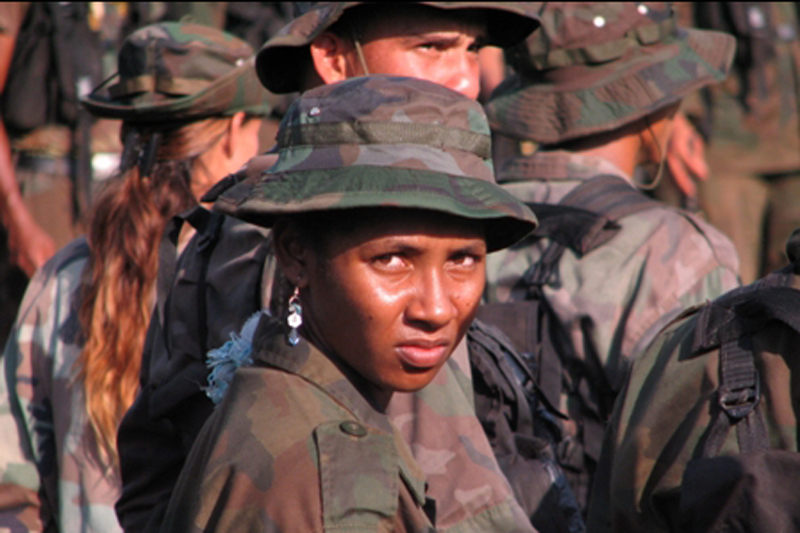 “In 2006, the United Self-Defense Forces of Colombia (AUC by its Spanish acronym) decided to demobilize and the Colombian Government began the difficult task of reintegrating almost 35,000 ex-combatants into civilian life. Since then IOM has been working, with funding from USAID, to reach this goal. Now that a possible FARC demobilization nears, IOM believes that it is the right time to compile lessons learned from previous processes and so we are focusing on initiatives like the Peace Library,” said Marcelo Pisani, IOM Chief of Mission in Colombia. The Peace Library is the reference point for documents related to government policies and their treatment of the armed conflict, peace, security and reintegration. The volumes also include the positions and proposals of the illegal armed groups, as well as the initiatives to put an end to the armed conflict and achieve peace presented by civil society. The role of the international community in support of those goals is also featured in the series. The Peace Library also contains sections comprised of laws and decrees, making it the main bibliographical collection for the historic memory related to the attempts to achieve peace in Colombia. The Peace Library Volume I narrates the bilateral ceasefire agreed upon by ex-president Belisario Betancur between 1982 and 1986 and organizations like the FARC, the M-19, the EPL and the Worker Self-defense Forces (ADO, in Spanish). 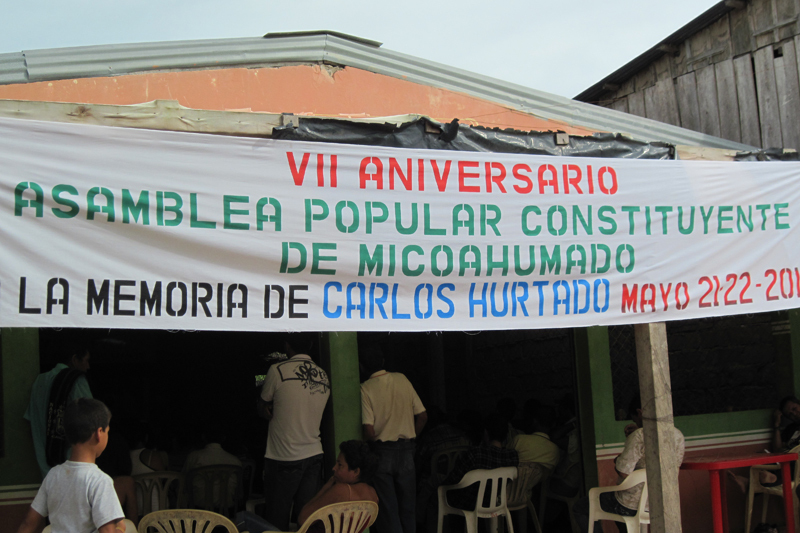 Volume II deals with the political pact with the M-19, which led to their total demobilization and a peace agreement between this guerrilla group and the government of Virgilio Barco (1986 – 1990). Volume III covers the government of Cesar Gaviria (1990 – 1994) and focuses on the peace agreements with the Quintín Lame Armed Movement, the Current of Socialist Renovation, and the Revolutionary Workers Party (PRT, in Spanish). Volume IV narrates the period of ex-president Ernesto Samper (1994 – 1998) during which there were no full peace agreements but instead a series of partial pacts and the Mandate for Peace, Life and Liberty, a citizen initiative that gave the country a certain amount of calm, despite attacks from drug cartels. Volume V details the government of Andrés Pastrana (1998 – 2002) with great precision, as he demobilized a large part of Colombian territory consisting of five municipalities known as El Caguán in order to negotiate with the FARC, who eventually left the table without any agreement signed. 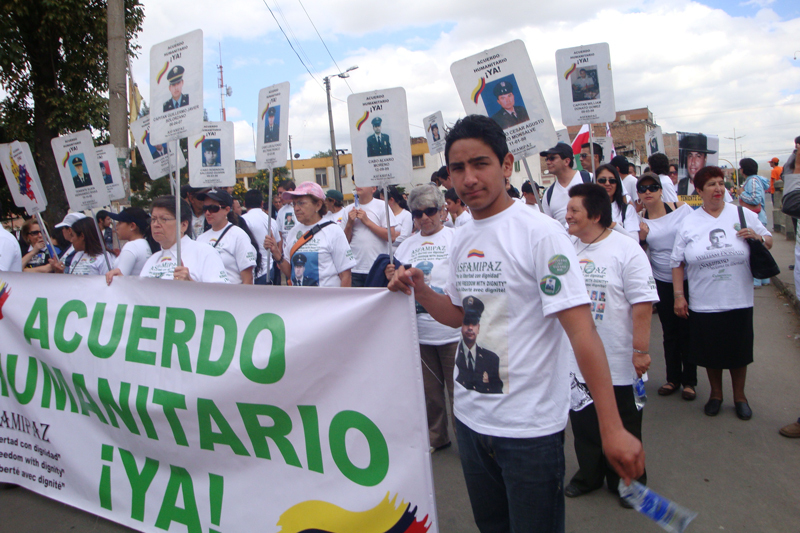 Volume VI covers the policies of the government of Álvaro Uribe regarding the armed conflict and peace between 2002 and 2010. 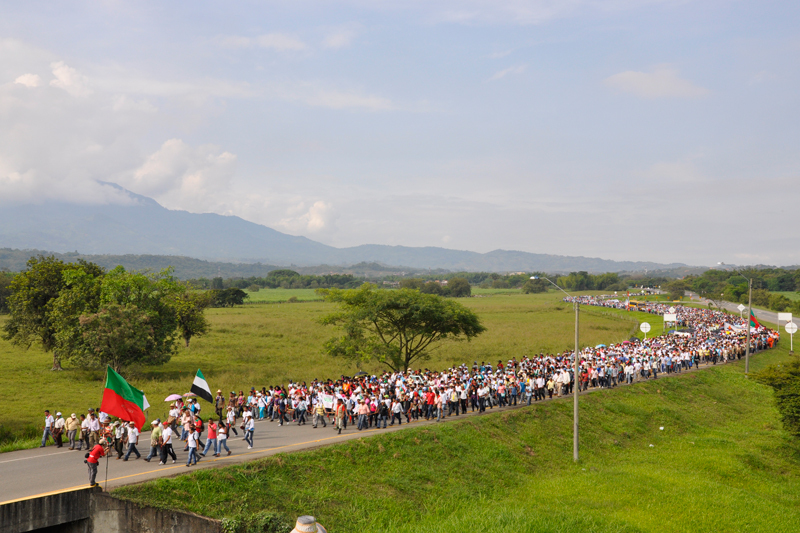 Volume VII is dedicated to the exploratory peace dialogues between the Government and the ELN during 2002-2010. 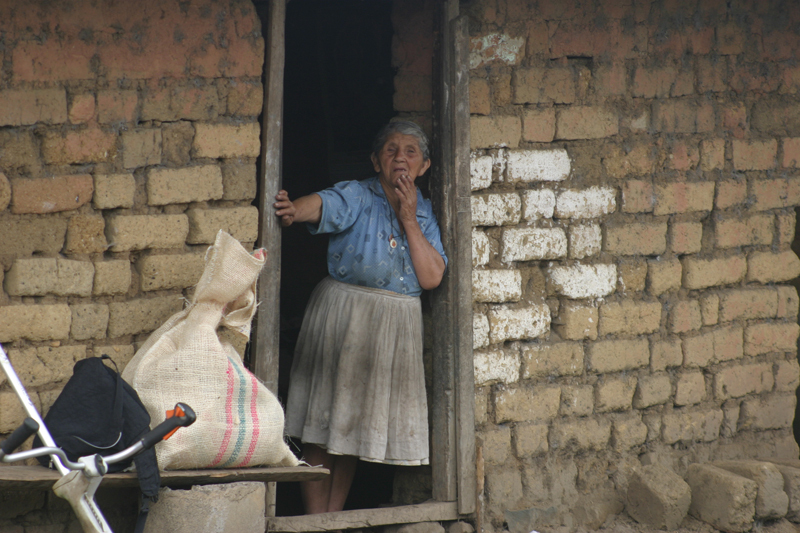 Volume XIII analyzes the proposals for a humanitarian exchange with the FARC. Volume IX compiles the peace-building experiences that were presented by civil society in the last three decades.